When shopping for a car, truck, motorcycle, boat, or RV, get pre-approved at Launch FCU. With your auto loan pre-approval we will give you a loan check, (draft), to take car shopping. 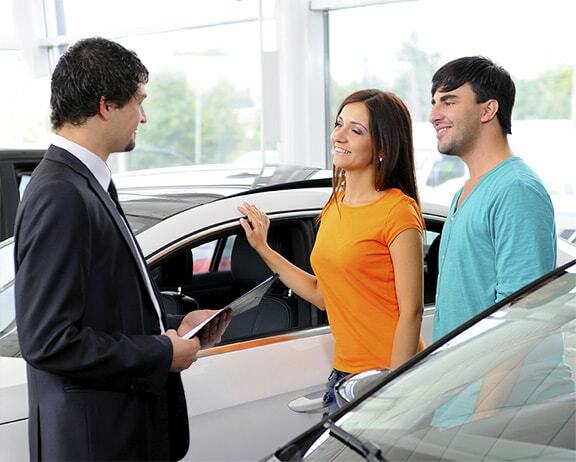 This draft will save you time and money at the dealership, making your overall car buying experience much easier. View our auto loan rates, and loan promotions created to save you money on your auto financing. To get your auto loan pre-approval call a friendly Launch FCU loan specialist at 321-455-5441 or simply apply online now. Our auto loan calculator can help you determine how much car you can afford. Utilize our auto loan payments calculator to help you understand what your monthly auto loan payments could be. There is no application fee and it’s easy with our online loan application or at any of our conveniently located branches. Or feel free to contact our lending center at 321-456-5441 (inside Brevard) or 800-662-5257 (outside Brevard). APR = Annual Percentage Rate. Loans are based on credit approval. The rate you pay is based on credit history and term. Savings account required for loan. Only a $5 minimum deposit required to open account and become a Launch FCU member. You can open an account if you live, work, worship, or attend school in Brevard or Volusia counties. Discount .25% off will be applied to qualified auto loan rate, not to go below 2.99% APR. (Payment example: monthly payments on a loan with a term of 48 months at 2.99% APR would be approximately $22.13 per $1,000 borrowed.) $10,000 minimum loan amount for $100 bonus. Vehicle must be financed using standard financing terms through Launch Federal Credit Union. Finance charge begins from date of refinance and is repaid over the term. Launch FCU offers the option of deferred payments for 60 days upon vehicle refinance. Offer valid 01/01/19 – 01/31/19 only. Cannot be combined with any other offer. Car, truck, and motorcycle loans currently financed at Launch FCU are not eligible for rate discount or the $100 incentive. Promotion not available for RVs and motorhomes. $100 incentive for refinancing will be deposited into member’s savings account within two weeks of loan closing. Member is responsible for taxes associated with $100 bonus. $100 bonus will be reported on 1099-INT tax form.